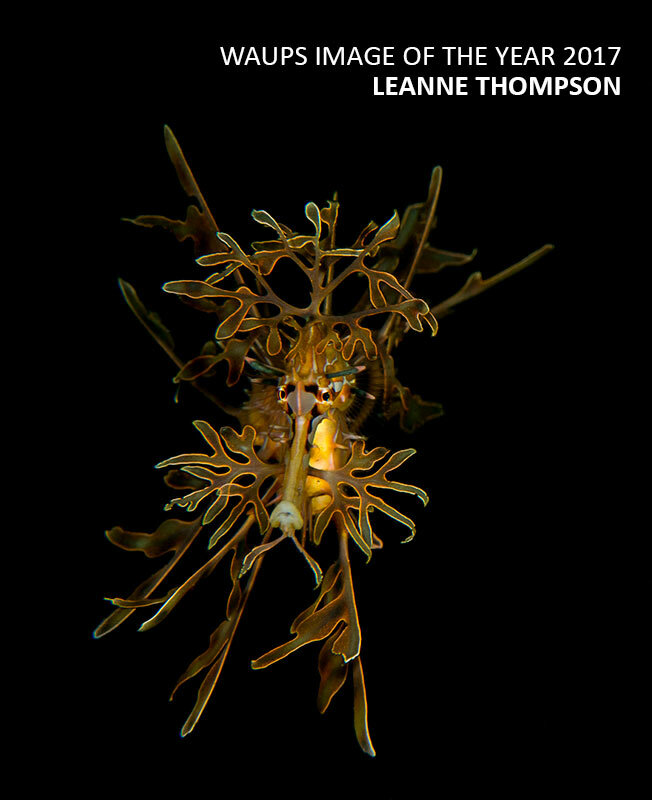 Congratulations to Leanne Thompson, whose stunning image of a Leafy Seadragon was voted by members as the WAUPS Image of the Year for 2017. 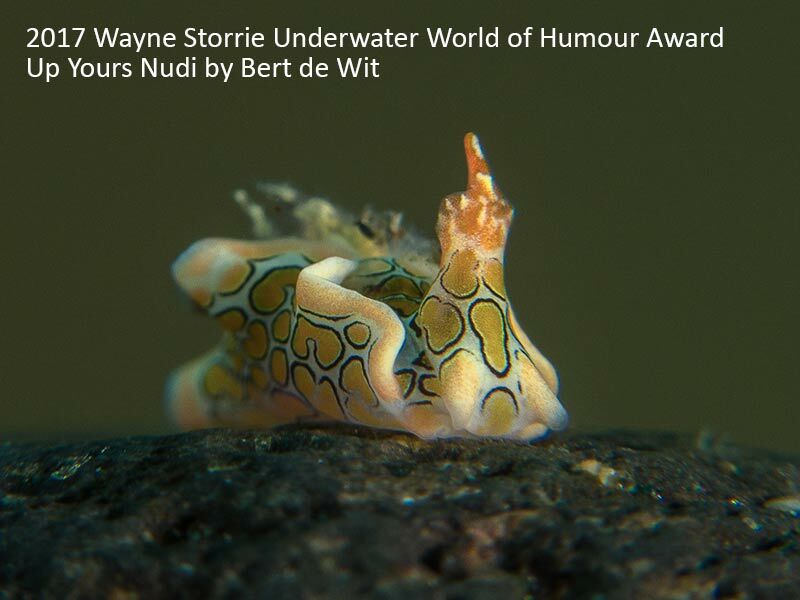 Congratulations also to Bert de Wit, his super funny image had everyone in stitches and was voted the winner of the Wayne Storrie Underwater World of Humour Award. The Western Australian Underwater Photographic Society (WAUPS) is a non-profit organisation which has been in existence (and incorporated) since January, 1984. The aims of the Society are to promote an improvement of underwater photography amongst it's members, to promote underwater photography in the community, encourage an understanding and preservation of the marine environment, share skills and ideas from within the society and from external bodies and have fun and enjoy socialising, diving and photography.